Naam kunstenaar Droochsloot, Joost Cornelisz. 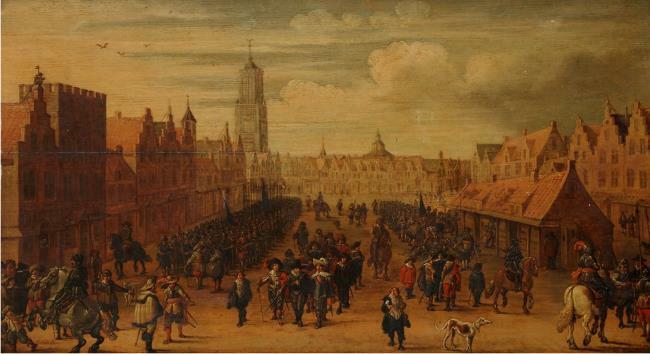 The event depicted took place in 1618. Depicts the scene from a different angle than most known depictions of the event, showing the towers of the Dom Church and the Buurkerk (E. Dullaart, 2017-06).